← CARPE ARTICULUM, FEATURING “DOORS,” NOW IN BOOKSTORES! Recently, Nathan and I were looking for a little escape for the day—something nearby, easy to get to, and inexpensive. We thought of all sorts of places—The Bronx Zoo (a frequent haunt), an hour away. Rye Playland, also an hour away. Kent Falls, forty-five minutes away. But all of that seemed like too much hassle, and it was growing late in the afternoon. We finally decided we’d go to lunch, and then it was the usual “where the hell do you go eat in Danbury that’s even mildly interesting?” Pathetic, I know, but I Googled ‘Restaurants Danbury’ and nothing came up of interest. 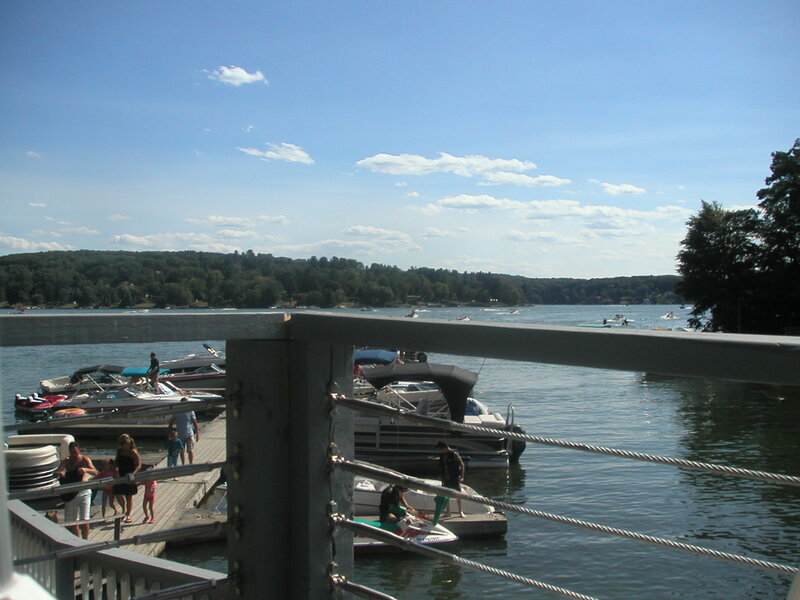 Then I Googled ‘Restaurants Brookfield CT’—and the first thing that popped up was Down the Hatch, a popular eatery on the lake’s shore that’s only open seasonally. The idea of being on vacation five miles up the road appealed to me, although I doubted it would work—I’d been there many times, after all. What was so special about it? But when we arrived, that changed. I stepped outside of myself and tried to pretend I didn’t live locally, that I’d never been to the place before. 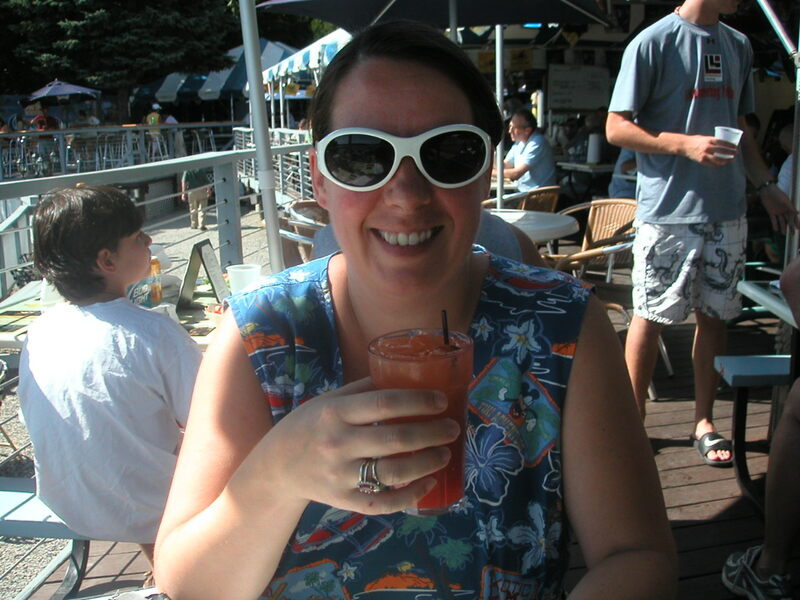 We were ushered to a table outside on the patio and ordered a couple of tropical drinks. We had cheap burgers, fed the ducks, and drank in the beauty of the lake. By the time we got back to the house about two hours later, and I felt as though I’d taken a full day off. To sum up—I felt like I’d been on vacation. So if you can’t get away and are area-bound this Labor Day Weekend, stop and think about what treasures your locale might harbor that you’ve forgotten about, step out of yourself and pretend you’re a tourist. You might find that a little relief is, surprisingly, just up the road. 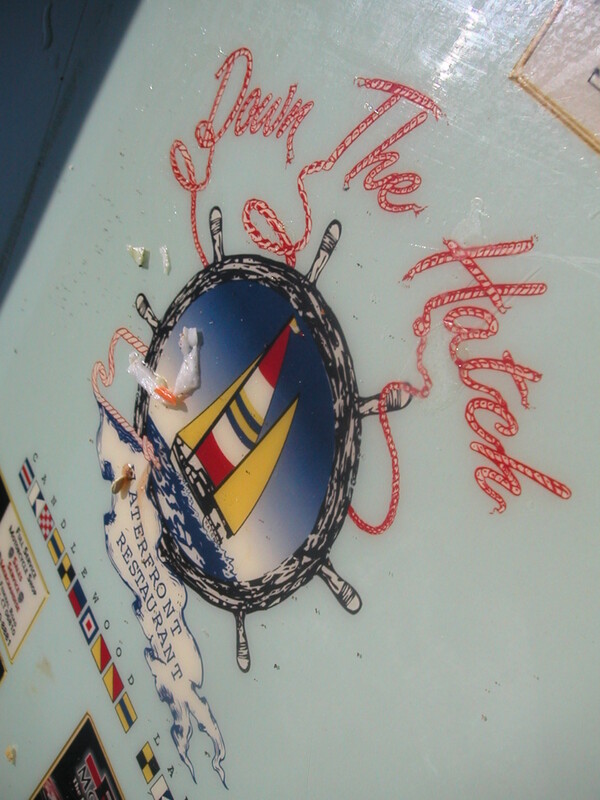 The tables at Down the Hatch feature this logo–surrounded by several local ads (although we’re not sure if they’re outdated or not. The tables look kind of old!) Cool idea, though! 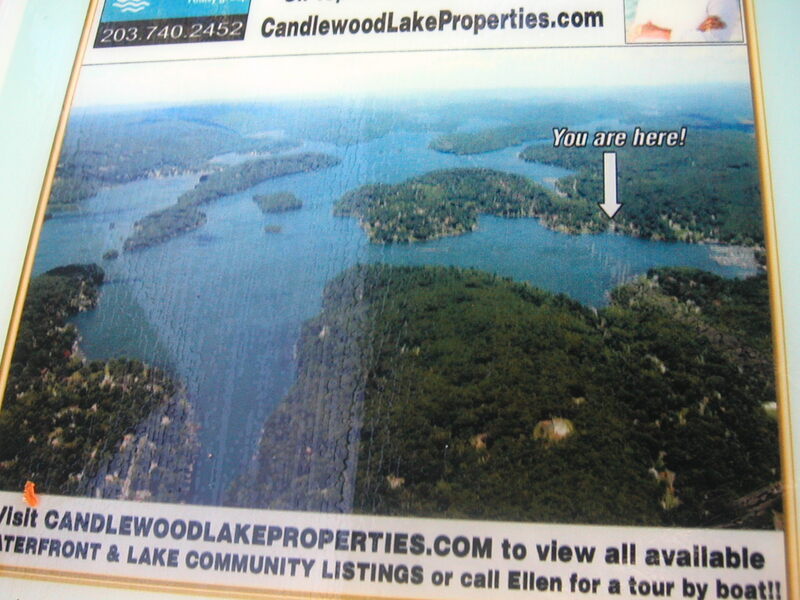 Candlewood Lake’s history is fascinating. 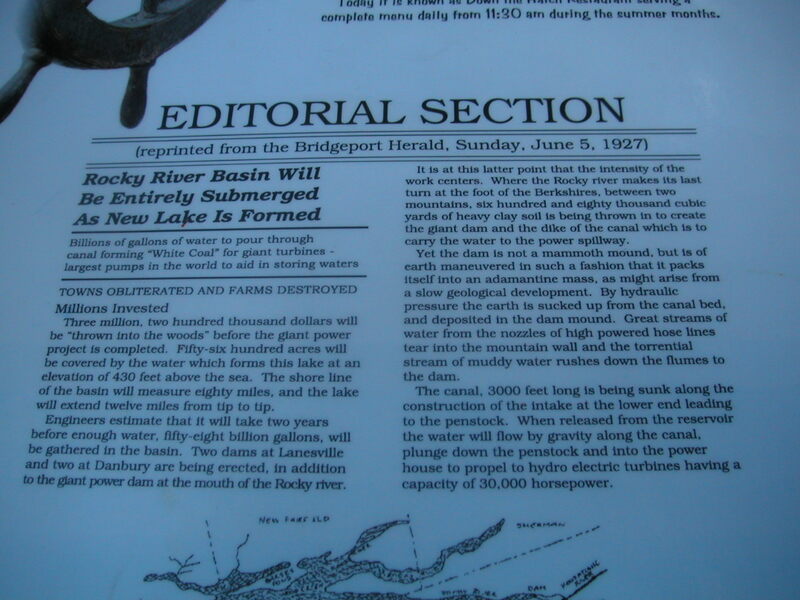 This newspaper article helps fill in some details about the actual flooding process. Also on the tables is an aerial view of the lake which indicates Down the Hatch’s location. I had a Mai Tai. It was actually stronger than I like. 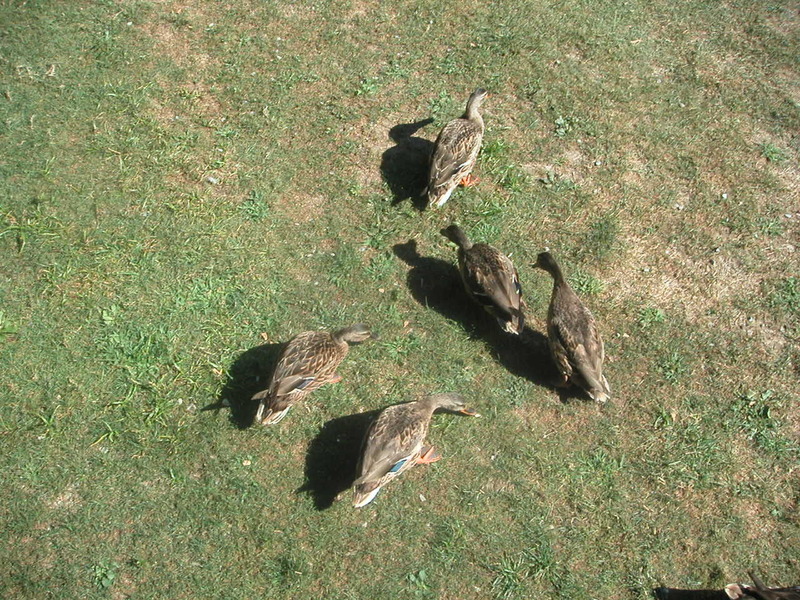 The lake’s duck population spends a lot of time looking for handouts. Nathan admires the ducks. Yes, he did throw them a few tiny pieces of potato chip. Here, the bluegills get in on the action. They’re no good for eating, but they are a local favorite for kids learning to fish. These little guys are actually pretty nasty-looking, and have a nasty little bite as well. If you’re swimming with any kind of ankle bracelet on, you’re asking for trouble. He finishes feeding, and the animals are disappointed he doesn’t have more! Of course, no matter where you go, there’s always some other interesting kind of wildlife that pops up. Seriously, what’s UP with this? 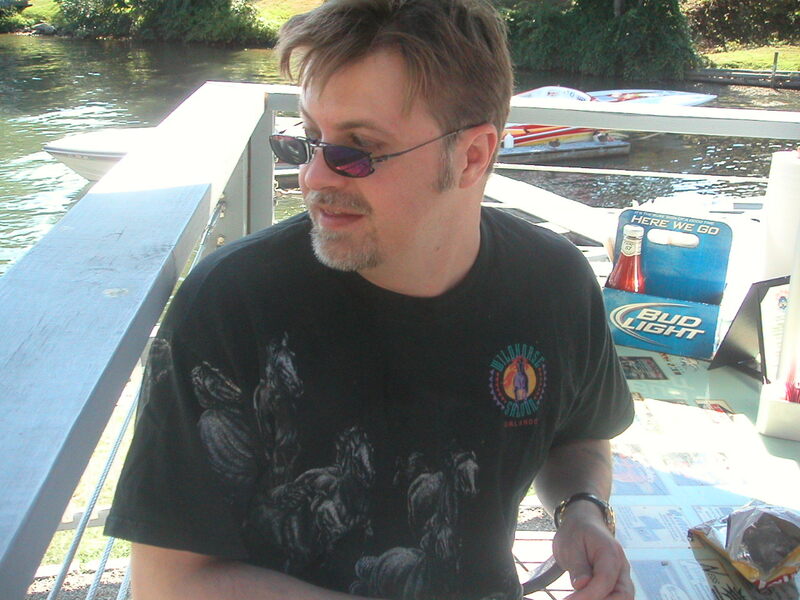 Posted on September 2, 2010, in Deep Thoughts & Fun Stuff and tagged Brookfield CT, Candlewood Lake, Danbury CT, Down the Hatch, Mini-Vacation, Staycation, Stress Relief. Bookmark the permalink. 2 Comments. Oh darlin, I wish I could have gone there while I was visiting! I know we talked about it, but so much to do! Next time. Anyway, about your article (which was fun) I have to tell ya, it sounds good on paper (or in this case on the screen) but when someone lives in an armpit like TEXARKANA, there IS no where to go where you can feel like you got away unless you DO get away. Seriously, nothing here even remotely sounds like a vacation. We have to drive nearly 2 hours to go to Hot Springs, AR, which actually is a vacation spot that many people go to from all over the country, the world, in fact. 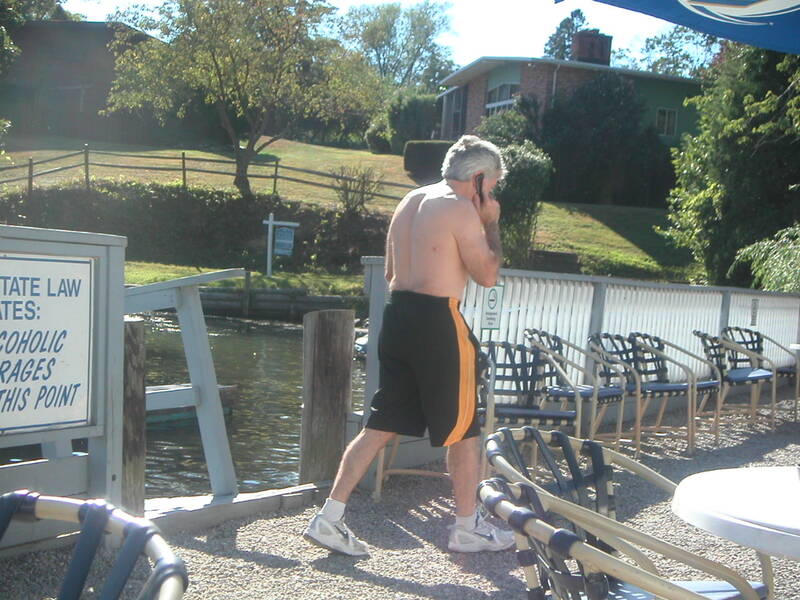 And we’re fortunate enough to have TK’s parents live on one of the lakes there. But, as I said, that’s a 2 hour drive, so it isn’t just up the road. I envy you that. Just wanted to make the point though, that not everyone can take advantage of your fabulous advice! Love you! Hey, Cyn! There IS always the TV. I was lucky enough to get some downtime this weekend — I took a two-hour break on my couch watching MonsterQuest on YouTube. I’d forgotten how much vacay there can be in your own house, too!